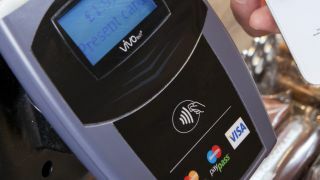 When it comes to near field communication (NFC), we're still relatively early on in its evolution, but BlackBerry handsets are leading the way in Britain. According to the latest statistics from the first quarter of this year, RIM says that 80% of all NFC enabled devices in the UK are BlackBerry handsets. RIM sees NFC as a big market opportunity and has taken the plunge into the technology to help aid its growth in the mobile world. The number of NFC enabled handsets is expected to rise rapidly this year and RIM is going to be at the forefront of the boom. Speaking to TechRadar at BlackBerry World 2012, Geoffrey MacGillivray, Manager for Security, Services, Payments and NFC at RIM said: "We are looking to put NFC technology into every upcoming BlackBerry handset." MacGillivray went on to point out that this would depend on the technical capabilities and financial implications for each handset, but confirmed that RIM was indeed keen innovative with NFC, bringing a physical nature back into the electronic world. RIM is also trialling a new NFC system at its headquarters, which sees NFC enabled BlackBerry handsets used to unlock doors to gain access to various parts of its office complex.